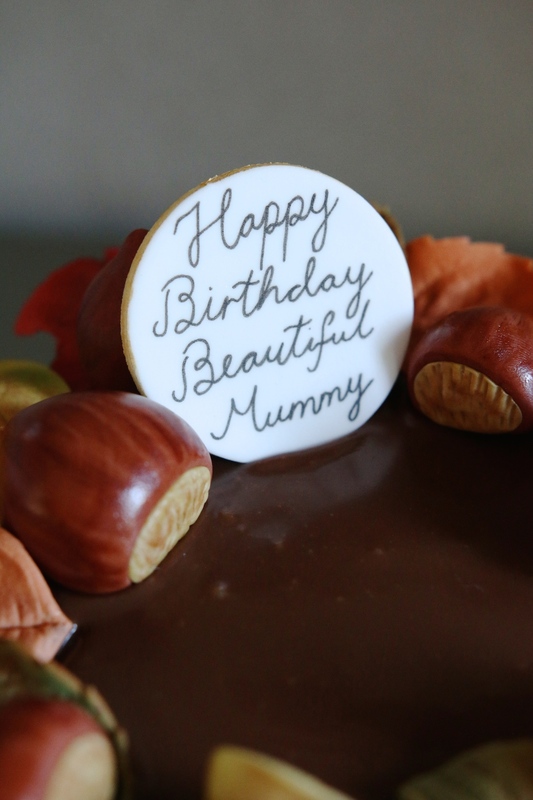 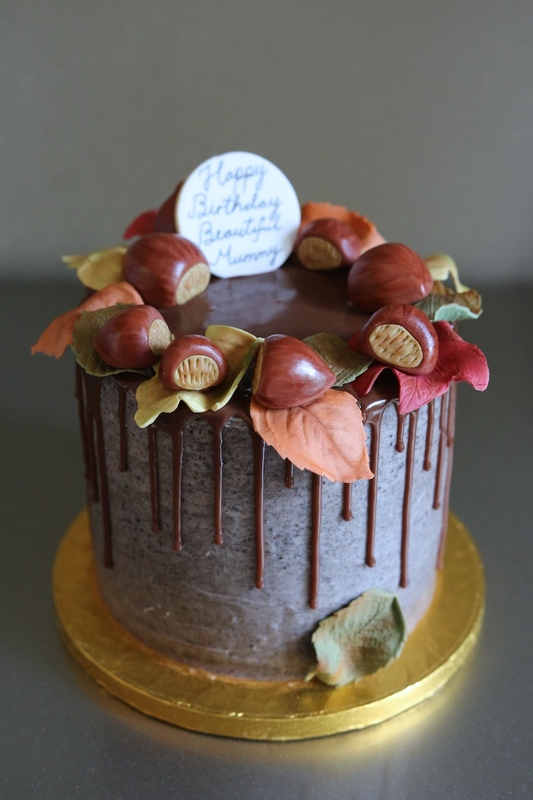 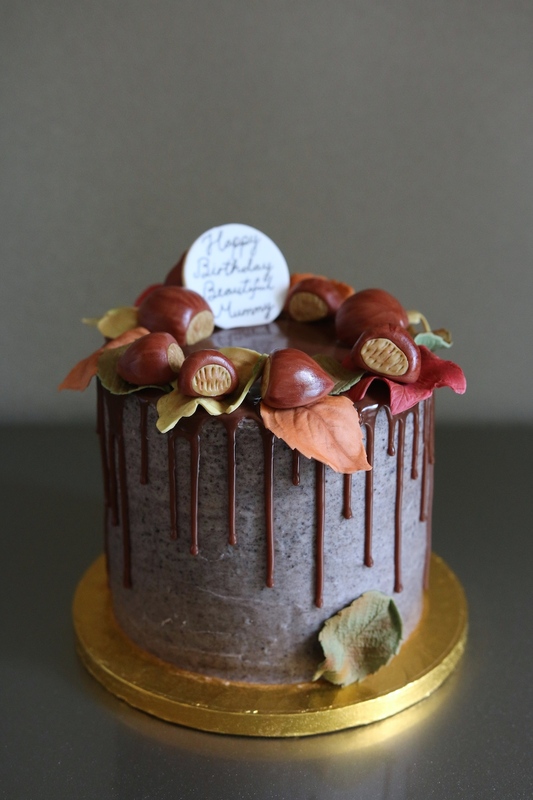 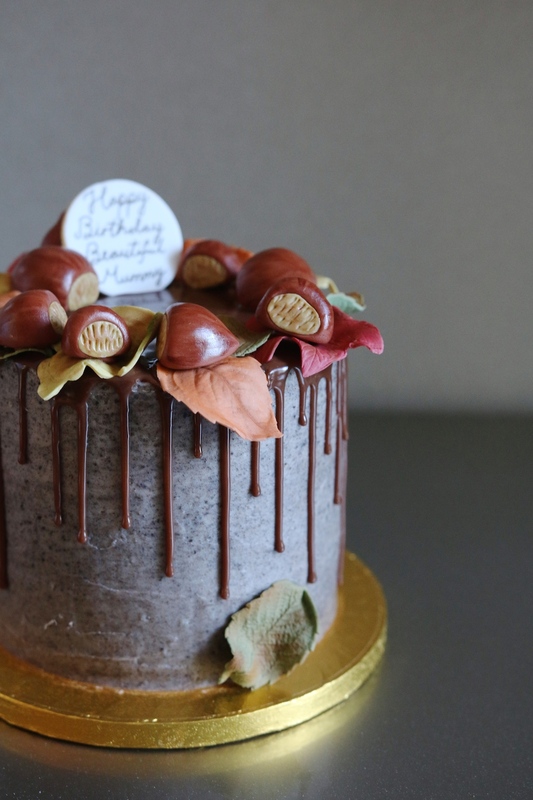 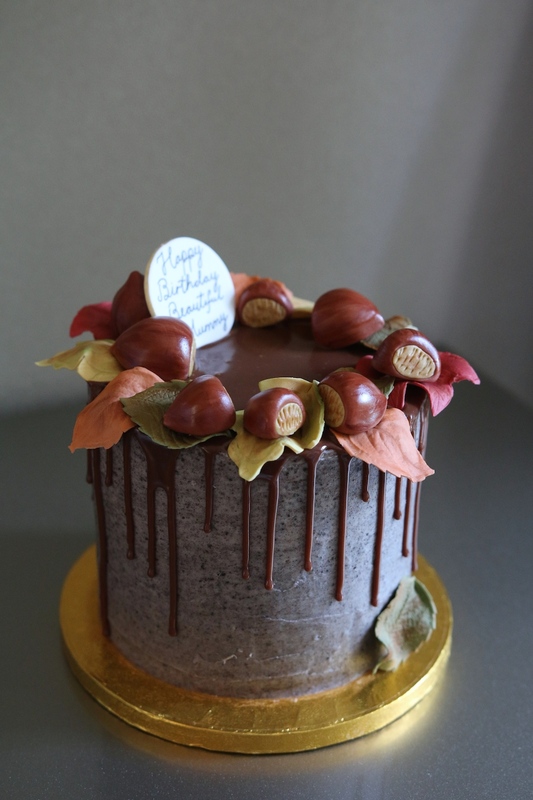 This is why when I was asked this week to make a birthday cake inspired by conkers and Autumn leaves my heart sang a little bit. 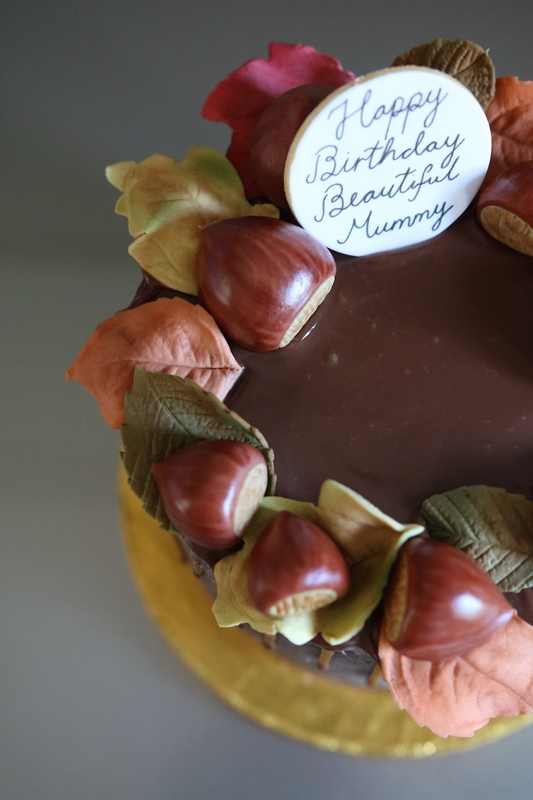 I went for a wander and collected some stuff to inspire me including lots of amazing leaves in all their beautiful colours. 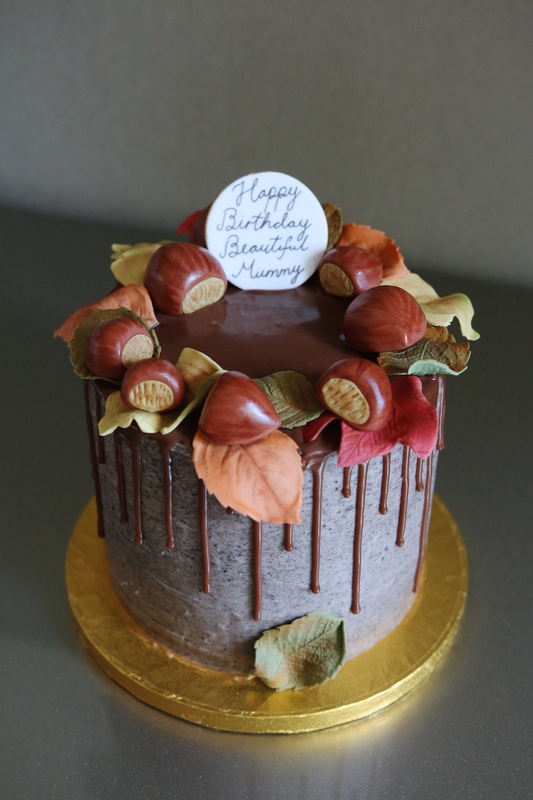 I made the leaves by colouring flower paste in orange, yellow, green and red and using a variety of leaf cutters, homemade templates and veiners to shape them. 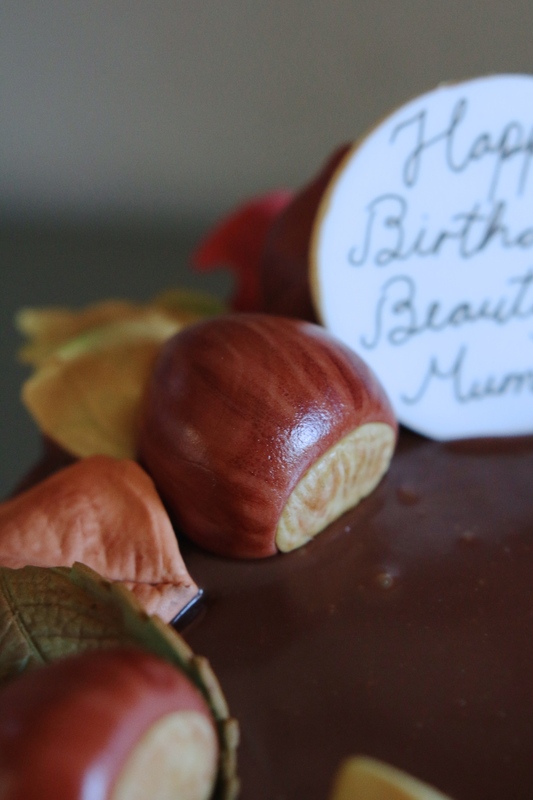 I then airbrushed the edges with food colouring so they looked like they had changed. 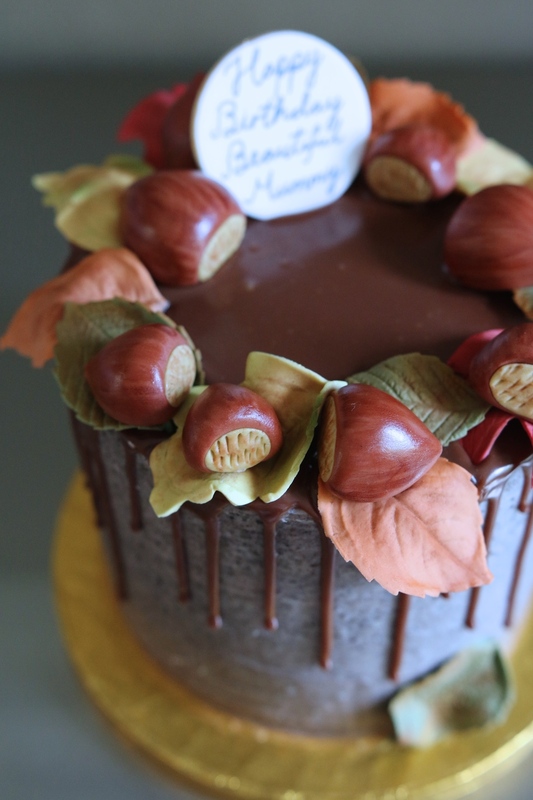 I then brushed them with brown edible dust to look like they’d fallen from a tree and been on the ground a while.